Delightful sights: Peter and Bianca Wakiec at The Myer Centre Christmas window display; and (left) Brisbane’s giant Christmas tree in King George Square in Brisbane. Photo: Emilie Ng. 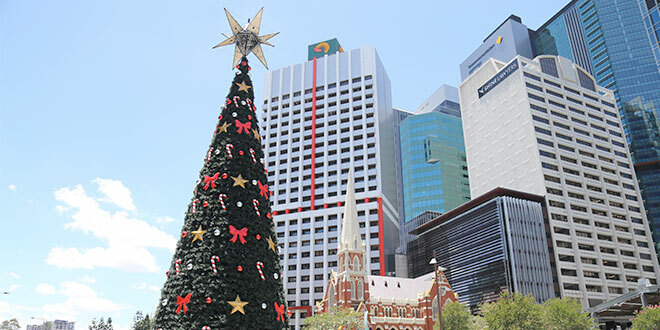 Delightful sights: Brisbane’s giant Christmas tree in King George Square in Brisbane. Photo: Emilie Ng. THEIR tiny eyes lit up as the string of reindeer tipped upside down in the navy blue sky above the crowd of carollers. 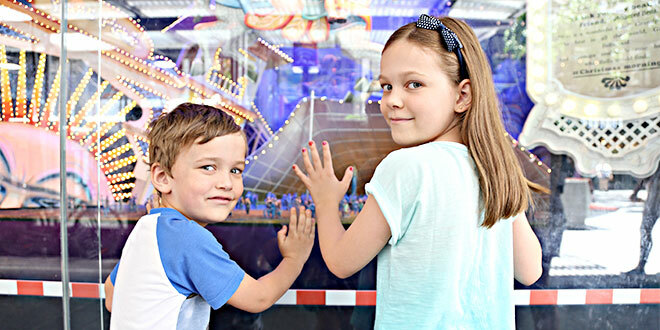 Hands glued to the glass, the children laughed playfully as they walked through the scenes of an Australian Christmas, complete with a ride on the Hills Hoist. In Brisbane city, thousands of people catch the joy of Christmas while glancing at the window display outside The Myer Centre in Brisbane’s Queen St Mall. It’s the same joy that springs when groups gather to gaze at the award-winning Christmas lights display at St Gerard Majella Church, Chermside West, among other locations, or when churches dim the lights for a sacred concert of carols. There is no solid theory to explain the contagious joy at Christmas – even among people who do not believe in Jesus Christ – or why anybody expects it to be a season of cheer. Sociologist Emile Durkheim described in 1912 a phenomenon whereby a society or community unites in thought and action, usually of a religious context, called “collective effervescence”. It explains how the excitement of one individual creates an electrical response that leads to a collective sense of excitement. Or, in the words of St Paul to the Galatians, the presence of joy is a sign of the work of the Holy Spirit (Galatians 5:22-23).But how do non-religious or lapsed Catholics people explain the joy of Christmas? Brisbane grandmother Diane Adams, who grew up Catholic, has peered through the Christmas window display religiously for 30 years. “My grandmother did it with me,” Mrs Adams said. Two weeks before Christmas, she and her husband Paul made the annual pilgrimage to the shop windows with their two grandchildren, aged eight and five, before passing by the Christmas tree in King George Square and visiting Santa in the city. “Their mum is Hindi but we still celebrate an Australian Christmas,” Mrs Adams said. She remembers going to midnight Mass with her parents to prepare for the birth of Christ. Today she will remember the incarnation with a nativity scene at the foot of her Christmas tree, a story she is beginning to share with her grandchildren. The presence of a nativity scene in the centre of the bustling shopping strip was a “wonderful” sight for friends of 39 years, Anne Matyear and Lesley Day. Originally neighbours from Ipswich, the pair had walked through the mall when they noticed the Holy Family shining humbly next to the stunning secular display. “Here we are outside the Myer windows,” Mrs Matyear said. “We’ve looked at all the Christmassy – ‘Christmas with an X’ ones – and we turned the corner and here is this nativity scene. “It puts Christ back into Christmas,” Mrs Day said. “That’s the real meaning,” Mrs Matyear said. Surprisingly, the best of friends are not even Christians. “No, but we follow the principles,” Mrs Day said. 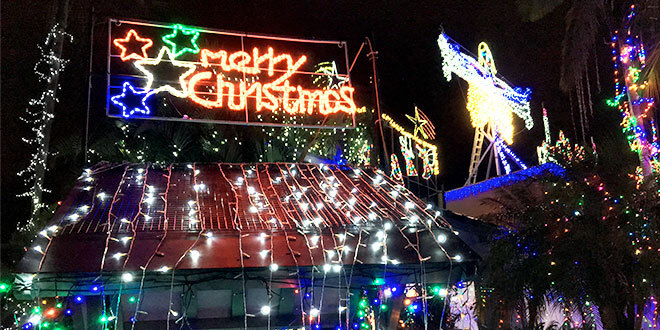 Rodney Newlands is never in Brisbane around Christmas but a health complication found him walking past the dazzling Christmas display. “Well, I’ve seen a lot of Christmases,” Mr Newlands said. So many, the Stanthorpe resident finds the whole affair “boring” especially concerning the town’s hot summer. Despite the heat, there is always time for a good family get-together. Italian mother Anna Merola walked her two children through the Australian Christmas Day story, and remembered her own childhood memories of walking to midnight Mass in the freezing cold. “When I was little, on the 24th at midnight we used to go to church,” she said. “Everybody was in the street making their way to church. Unfortunately the tradition has not continued in Australia. “I’ve actually lost that a bit,” Mrs Merola said.